Rabbit in the Moon will be hosting artist Erik Johnson a highly skilled, 3rd generation silhouette artist, who learned the craft from his father. Within minutes, Erik hand cuts each silhouette just by lookining at the subjects profile. When he's done you'll have an amazing keepsake silhouette of your child. Silhouettes make great gifts! 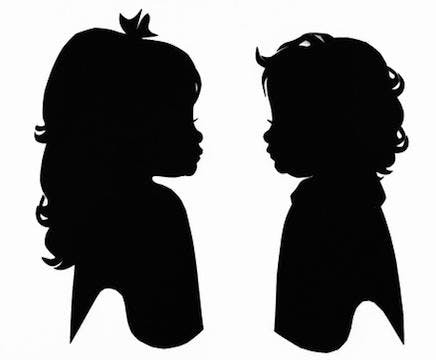 Silhouettes are $30 each, a duplicate of the same person is $15. Framing is available. Cash and credit cards accepted.